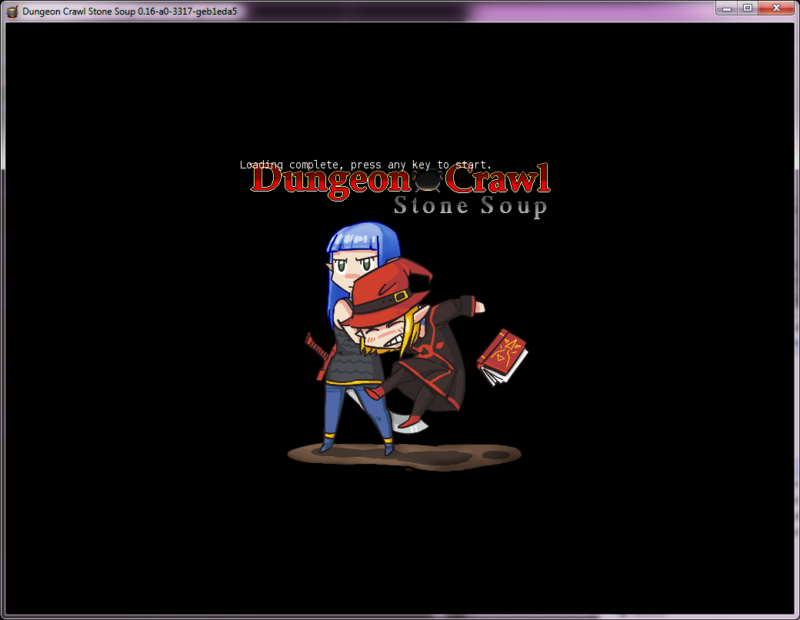 Look at how the "Loading complete..." intersects with "Dungeon Crawl: Stone Soup". Gross! Blegh! There's a couple other loading screens that are a bit of an issue and should be looked at (the Kiku one comes to mind) but this is the only one I've noticed that's consistently Bad.